There are companies who hire specialists to create their pages and sites over the internet and increase visibility. There are others, however, who like to do things themselves, thus do-it-yourself website builders such as WiX and Weebly have emerged in the market. The question is, do they rank as well as those professionally made in search engine results pages (SERPs)? Or better yet, do they rank at all? A quick answer to this question is both a yes and a no, which is not very clear to begin with. To further clarify on this, let’s look at the two platforms, their pros and cons, as well as their SEO design. When WiX started, it had a lot of issues which became bad news for search engine optimisation. Two of the major factors that caused a big problem is the inability of Google to find all the pages of a WiX site, and the use of an outdated AJAX technology that created bad URLs. Both of which contributed to each other, preventing the site from ever ranking, but all that has changed. Currently, the site has now fixed the problem with its URLs by eliminating special characters. This makes it easier for Google, or any search engine for that matter, to find a specific page or a WiX site, addressing the issue of being unreachable and inaccessible in the SERPs. This, however, is not a guarantee that a WiX site will easily rank in SERPs against other professionally produced websites. The same rules apply when it comes to SEO, such as keywords, meta descriptions, page speed, and a lot more. This is where expertise in search engine optimisation becomes important. Another website builder by the name of Weebly is also victim to the stereotype of being bad for SEO, thus will not allow you to rank on the SERPs. This may be because of its background as a DIY builder, but similar to WiX, it will still allow you to generate traffic. The advantage of Weebly, however, is that it didn’t have the same problems as WiX in the past. It has a simple drag and drop design that allows anyone to easily use it without taking too much time in learning it. The beauty of this is its intuitiveness, allowing anyone to self-discover and experiment with what they’d like to see on their website. Going back to the original question, can a WiX or Weebly site rank on the search engine results pages? It now can, but only when used effectively. This means that SEO concepts need to be applied in order for your website or a page created by either DIY builder to appear on the search results. Some basic points to consider are the titles, keywords, URLs, and image captions just to name a few. If those are things that you don’t have time brushing up on, then it might be the best time to hire an SEO specialist. 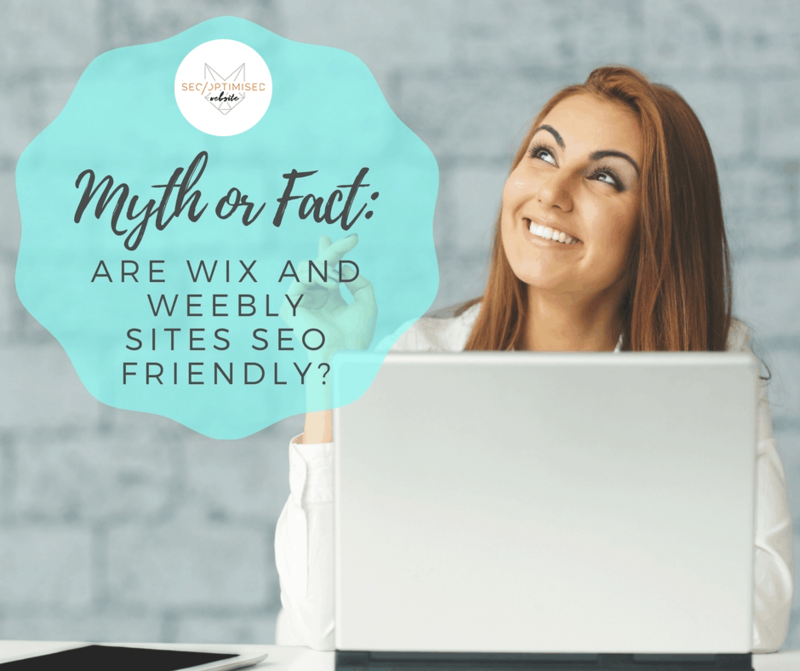 At the end of the day, WiX and Weebly are mere tools that are only as good or as the one using it. This is why it is important to have knowledge in optimising it, or have someone do it for you. When setting up a website design, it is important to view it as an investment and not an expense. This being said, you need to treat it with the attention it needs, whether directly or indirectly, and it will reward you. The choice of using website builders or hiring a specialist is up to you.